The days are ever so slowly getting lighter, but you don’t need the rain and the snow to remind you that we are a long way from summer. 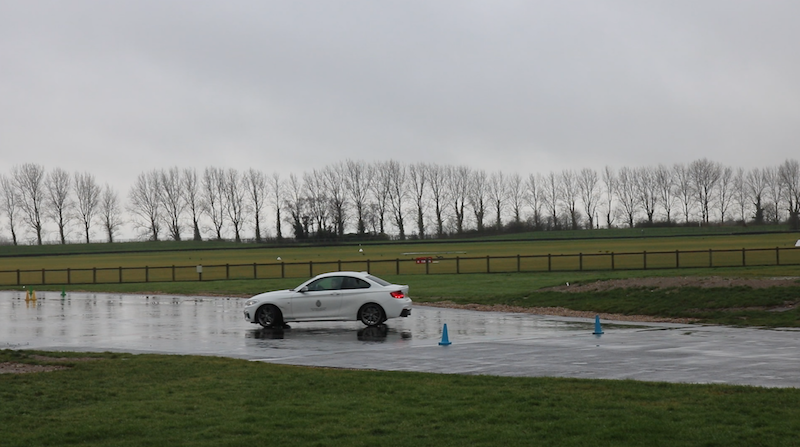 This then, seemed like a very appropriate time for which to take part in one of Goodwood Motor Circuit’s Extreme Weather Driver experiences. 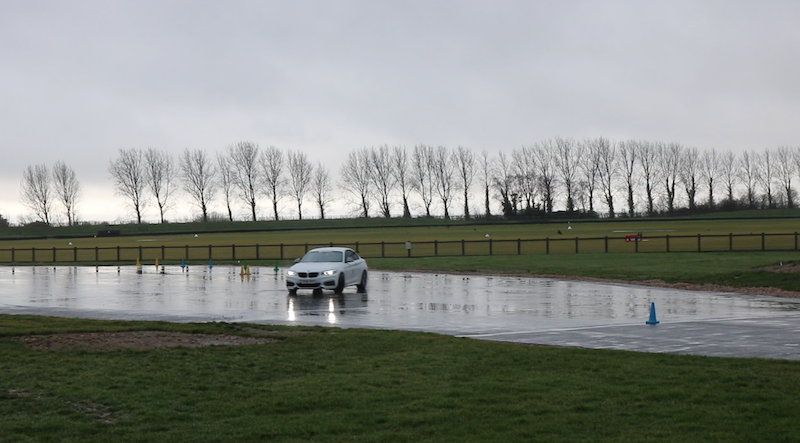 The Goodwood team kindly invited me down to have a play on their skidpan, but there is of course a greater meaning to this – to have a greater understanding how a car can perform in low grip conditions. 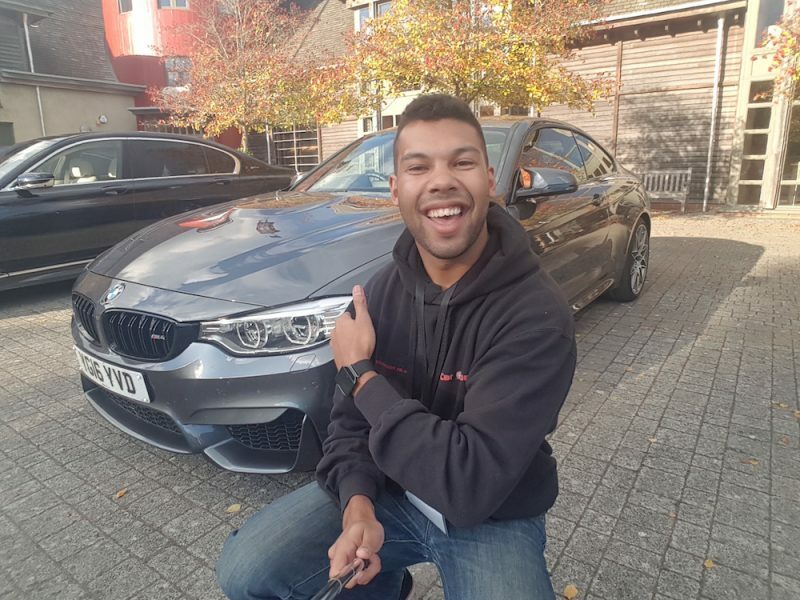 Those taking part in the experience will be able to either go out in a Mini Cooper which represents the front wheel drive contingent, or you can go out in a BMW M240i if you fancy the thrills and spills of rear wheel drive. There are no prizes for guessing which I decided to plonk my eager backside in. 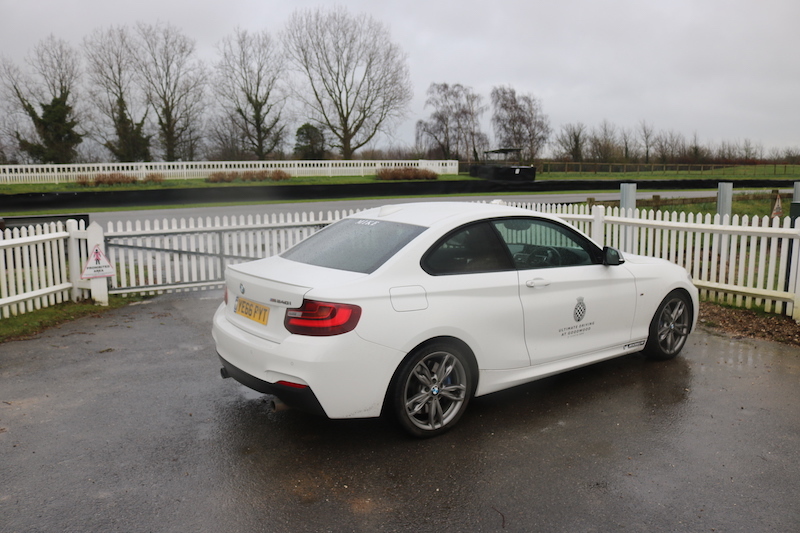 Yes, it was of course, the BMW M240i, a car which produces 335bhp. It’s a car I was lucky enough to enjoy when I tested one in 2016. To begin with though, I had to settle for the passenger seat as I had to see a master at work. My instructor, showed me how it was done, whilst running through what was happening and how he was able to do it. One thing that amazed me was just how smooth and fluid his inputs were, almost mesmerising. I have done a few experiences like this before and although I know what sort of thing to expect, I am yet to fully hone my skills. Normally I turn up to these days with some of expectation of what I want to achieve or what I expect to get from the session. In all honesty, this is where I have gone wrong in the past, because it’s meant I’ve put needless pressure on myself. This means I tense up and never really enjoy myself as much as I could do. I wanted to enjoy the day though, and my instructor had made me feel at ease, meaning I was nice and lucid once I got in to the driver’s seat. The M240i used was a manual rather than a DCT, which surprised me a little bit, but I was looking forward to added driver interaction that the six-speed stick shift would offer. 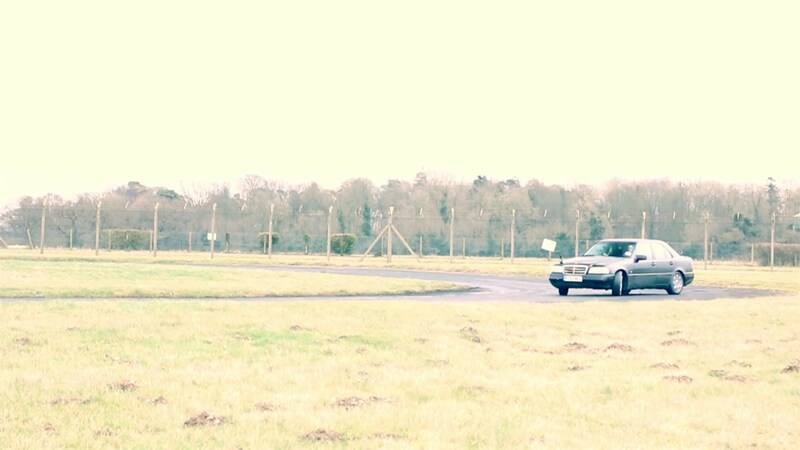 I head out to the skid pan for the first time and at first it was all a bit…pedestrian. There was a reason for this though, I wanted to get used to the car and understand how it would behave on the slippery surface. 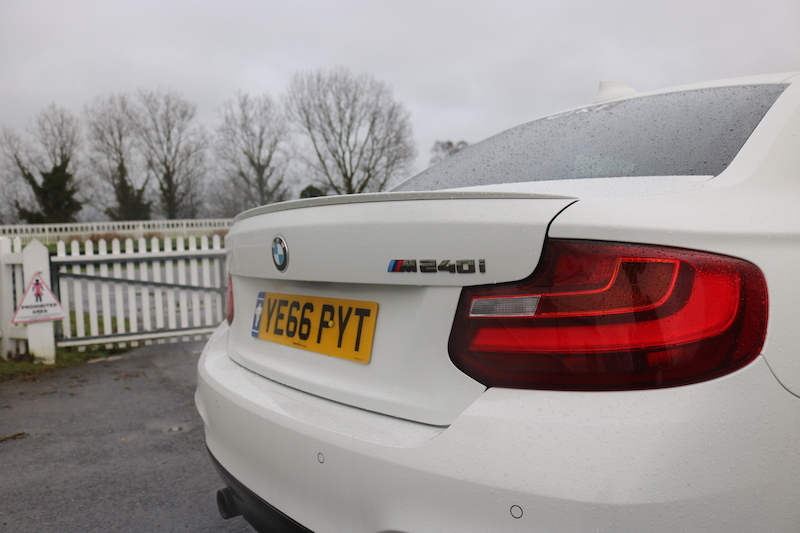 As I built up speed, we turned the traction control off and I was pleasantly surprised by the fact the BMW was still rather predictable. 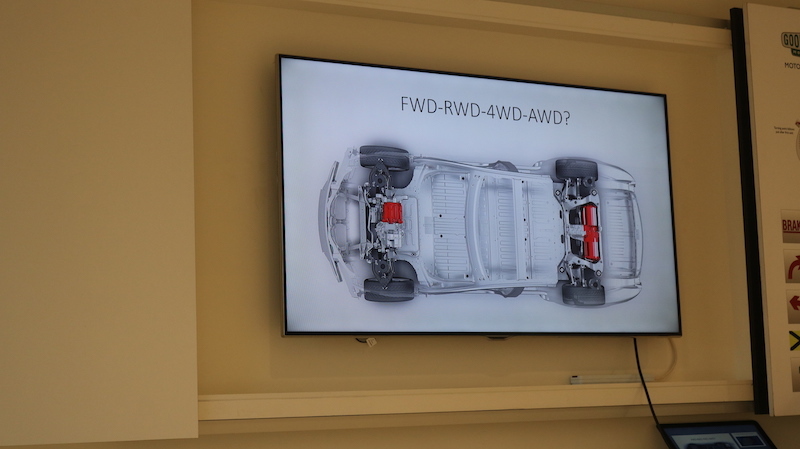 That’s not to say it was easy of course, but the chassis felt malleable, and it didn’t feel like it was going to bite me in the proverbial if I made a hash of it. I did spin of course, but when I had done it was never a tank-slapper. 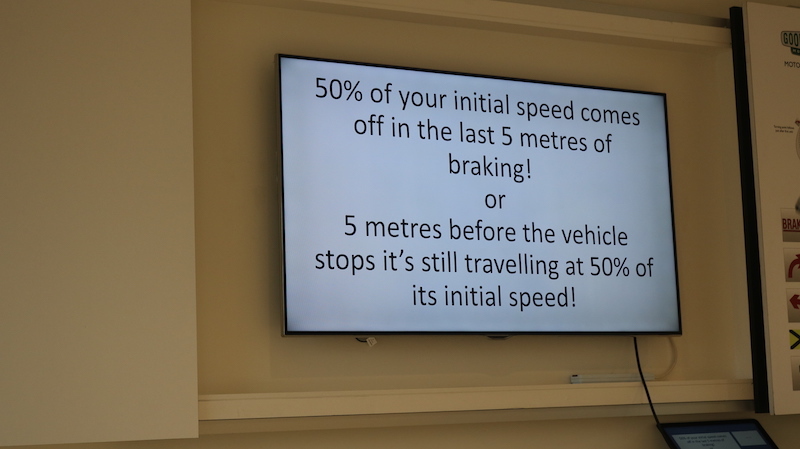 My instructor was able to talk me through tell-tale signs that I was carrying a bit too much speed – for example if there was a rumbling noise happening as I was turning, this was understeer caused by excess speed. As I got used to the car and relaxed a little, I found my car control became noticeably better and I was even trying one or two transition drifts. They weren’t overly impressive mind, but the intention and idea was there. I was able to pull off the odd decent slides for the cameras, but let’s not forget, this course is able about being able to save yourself from crashing in poor conditions rather than trying to outdo Ken Block. On that note, after my educational tomfoolery on the track, it was time for a classroom session to gain a bit more theory knowledge to go with the practice. Some of you may think this is going to be as exciting as watching your own hair grow. I think it helps that I went out in the car first and got rid of all my adrenaline though, as it meant I could focus more what was being said. I may be a car fanatic, but that doesn’t mean I wasn’t able to learn anything new. For example, the average tyre has around 128 components to it, which I find simply mind-boggling. Let’s face it, we all just see tyres as round bits of rubber, but they are more complex than we’d care to think about. Also, the tyre compound is more important than the tread, which was demonstrated in a short film where two tyres with identical tread patterns were tested, but the the cheaper tyre with its equally cheaper compound had a noticeable increase in stopping distance. So in other words, don’t scrimp on the rubber, as it could be the difference between a minor accident and a fatal crash. So what I did I take from the experience? I think one of the main things I took away from the day is just how much a small variable, whether it be the throttle, braking or the steering, can make a big difference. Even having the tyre pressures out by a few psi can cause big ramifications depending on the weather. 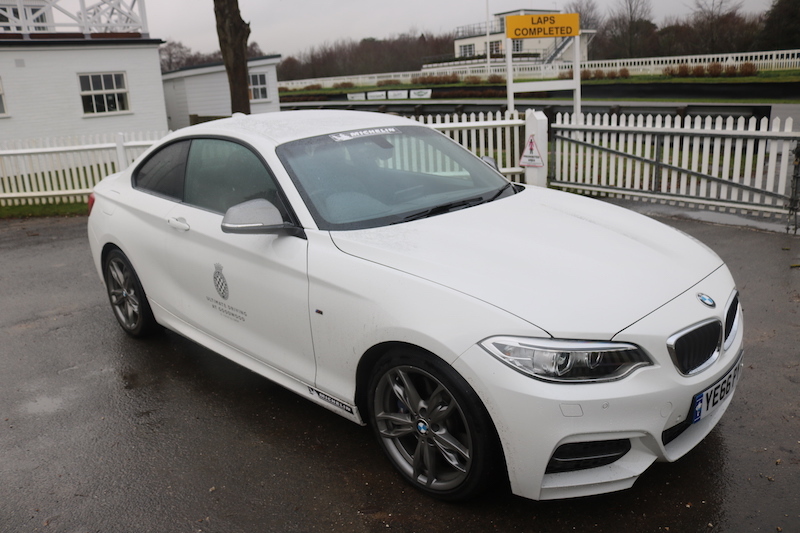 The Goodwood Extreme Weather Driver experience is most definitely worthwhile, whether you are buying it as a gift or buying it for yourself. Booking on is easy and there is good availability, so there should be nothing stop you giving it a go yourself. 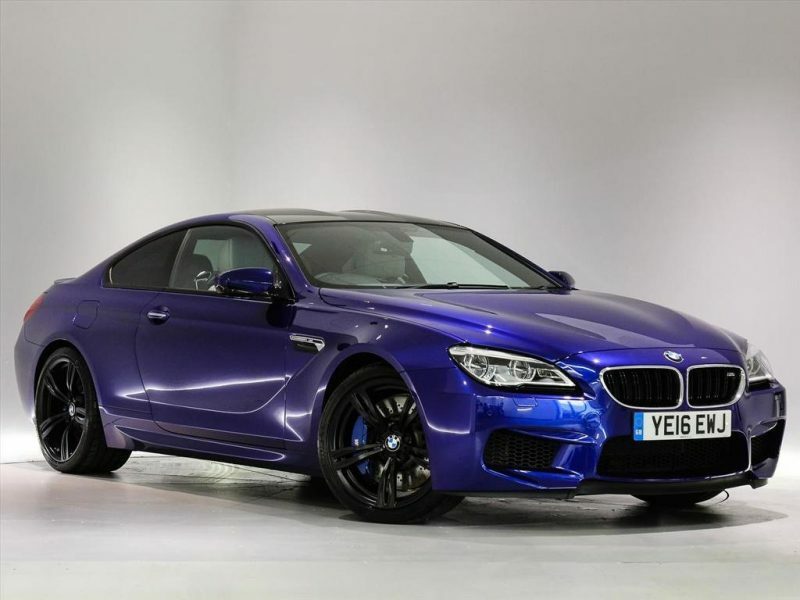 The experience is priced at £149, and if you want have a crack at it, head to the Goodwood website. A massive thank you to the Goodwood team for having me down and for being so welcoming.